Jeremy is a busy man these days. 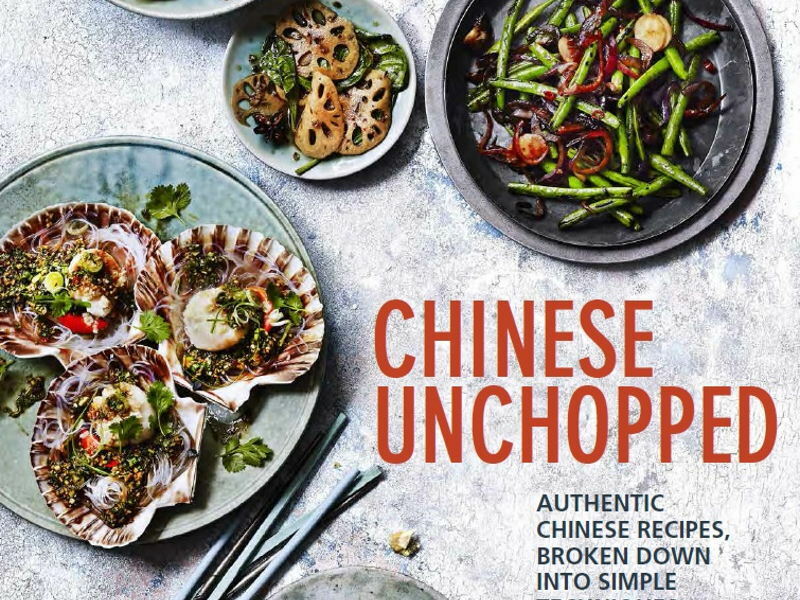 He's launching his book at the London Produce Show today, followed by a School of Wok launch, then running the Taste of London hands-on kitchen, and then teaching a full six months worth of classes about the book at the school! (See what we mean? Busy!) We managed to convince him to sit still for a moment by bribing him with tea and cake, to find out a bit more about his book writing experience. SOW: How was the whole experience? What were some of your challenges in the book writing process? JP: The whole experience was really fun, unbelievably tiring, and completely fulfilling all at once. Every step felt like an achievement. The ideas phase alone- deciding the best approach for the book-was a task in it and of itself! Then there was the pre-pitch, then the pitch, followed by the 'first dates' with Quadrille where we really got to know each other. After that it was then the hard slog of actually going through every single recipe, testing each and every measurement. 'How much does a cup of rice weigh', 'what about a pinch of salt', that kind of thing. Then the creative blocks of writing around each recipe and memory. Long train rides were my writing heaven actually, the more of those I could find the better. Sometimes I would wait for direct train home instead of changing lines just so that I could get my laptop out for thirty minutes instead of ten at a time to really get an idea out. After that came the editing phase back and forth - sometimes my eyes would go square looking over each recipe that had already been written! Now it's just a big sweet sigh relief that it's all done- this is the easy part I think. I hope! SOW: How did you decide which recipes to choose for the book? I had a clear structure of techniques I wanted to divide the chapter by, so it made it slightly easier to choose. About half of the recipes I chose are popular dishes but may not have ever been fully explained to customers before, at least probably not in the way that I've done in the book. And the other half were recipes that I categorised by specific techniques, that I myself had a history with. Memories of childhood, trips, family members... that sort of thing. SOW:What would you say is the main point you would like to get across in your book. What do you want your readers to know and understand? I want people to know that you can cook any Chinese dish, go completely off recipe and get truly creative and inspired in the kitchen, once you understand the true basics of the cuisine. It's not hard to learn the foundations, it just takes some time and patience- like everything else in life really. It's hard to pit memories against each other so I can't really compare most of the recipes themselves. But in terms of during the actual process of creating the book- Steam Boat. Taking that photo, explaining the recipe, and the lunch we had to endure (poor us) to make it all come together was epic!